Preston, ID – 02/23/2018 – Franklin County Medical Center (FCMC) is pleased to announce that it has received a grant from Idaho Department of Health and Welfare to assist in implementing technology to enhance the quality of care and quality of life for its Transitional Care Unit (TCU) residents. The grant will enable FCMC to purchase It’s Never 2 Late Systems (iN2L®), Amazon Echo Dots and Kindle Fires, all of which will support core elements of wellness for the residents. With the grant, FCMC will purchase a mobile FLEX iN2L, a 23.8” computer system and a 70” mobile system. The cart-portable systems feature touchscreens, bike simulators, flight simulator joysticks, and music makers. Each FCMC TCU resident will have a personal account and access to over 3,000 applications, featuring content focused on social, emotional, intellectual and academic stimulation, physical engagement, spiritual outlets, and vocational interests. 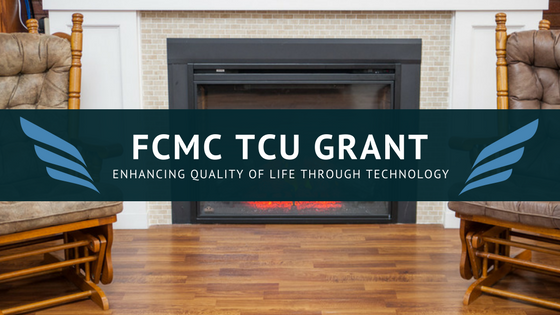 The grant will also allow FCMC to purchase an Amazon Echo Dot for each of the 35 TCU resident rooms. The Amazon Echo Dot is a hands-free, voice-controlled smart speaker device that engages the Alexa application to respond to questions, play music, read the news, report weather and more. Residents will be able to increase their independence and entertainment options by using the Echo Dot as a personal assistant and a portal to the world of individualized music through Amazon Music, Spotify, Pandora, iHeartRadio and TuneIn.